We provide service solutions for all electrical repairs, installations, maintenance, and 24 hour services across Melbourne and Bayside. If you ask us, there’s no finer city in Australia than Melbourne – food, sport, culture, Melbourne has it all! No matter where you live in this bustling metropolis, you can rely on Briggs Electrical for speedy service. If you live or work in Oakleigh, we’re ready to help out with all your household and commercial electrical needs. From inspecting an old home’s wiring to fitting out entire factories, Oakleigh residents have an electrician they can trust in Briggs Electrical. Bring life to your outdoor space with stunning garden lighting. From floodlights and sensor lights to deck lights and porch lights, we love creating outdoor lighting solutions. Located 11km south-east of the CBD and just north of our base in Moorabbin, this affluent suburb is one of the oldest in Melbourne. Briggs Electrical offers premium electrical services for Brighton residents, including home theatre installation, home security, and more! Do you need emergency electrical work done in Bentleigh? Briggs Electrical is based only 10 minutes away in Moorabbin, guaranteeing a speedy response to your electrical emergencies. Click here to find out more about our electrical services in Bentleigh. Located in the leafy suburb of Malvern? Got an electrical problem? You can trust Briggs Electrical to look after your home with the care and service it deserves. Learn more about the services we offer Malvern residents. Located only a couple of minutes south from our base in Moorabbin, residents of this idyllic beach suburb can trust our team to look after all their electrical needs. Our experienced team of sparkies are ready to take your call – 24 hours a day. Home to almost 30,000 people, Richmond is one of the busiest parts of Melbourne that we service. Residents of this densely-populated suburb can rely on Briggs Electrical to look after their electrical problems, no matter their size. Nestled just south of Brighton, Moorabbin serves as the headquarters of Briggs Electrical. Naturally, Moorabbin residents can rely on our team to arrive on-site and start solving electrical problems with minimal delay. Home of the world-famous Luna Park, St Kilda is one of our favourite suburbs to work in. Good restaurants, a picturesque foreshore, thriving pubs – these are just some of the things that make us excited when anyone calls us with a job in St Kilda! 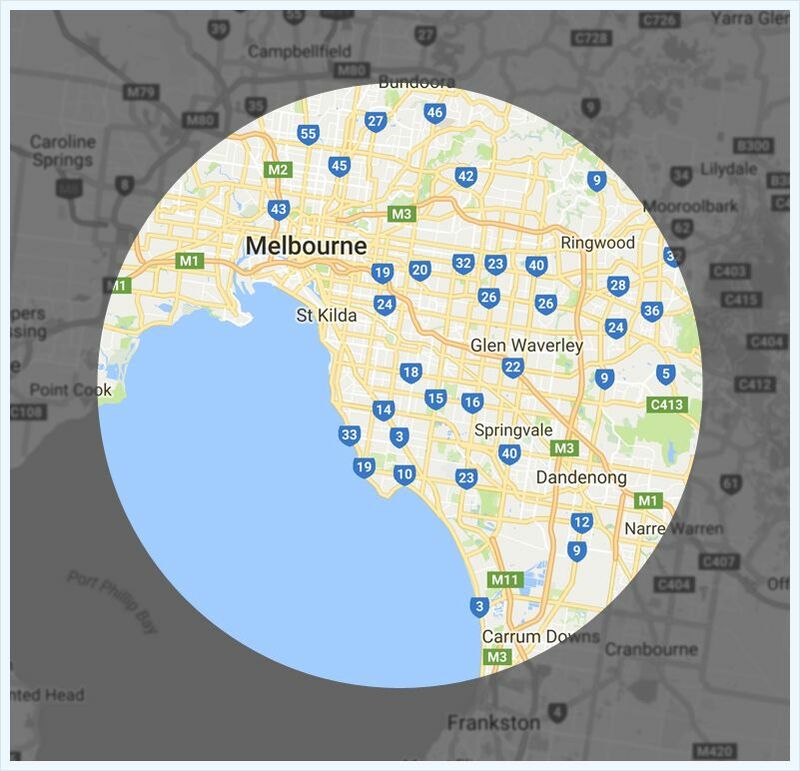 The third most populous suburb in all of Melbourne, South Yarra is comfortably nestled in our service area. Whether you need a security system for your apartment or an electrical fit-out for a new building, our team has the experience to deliver solutions on-budget and on-time.